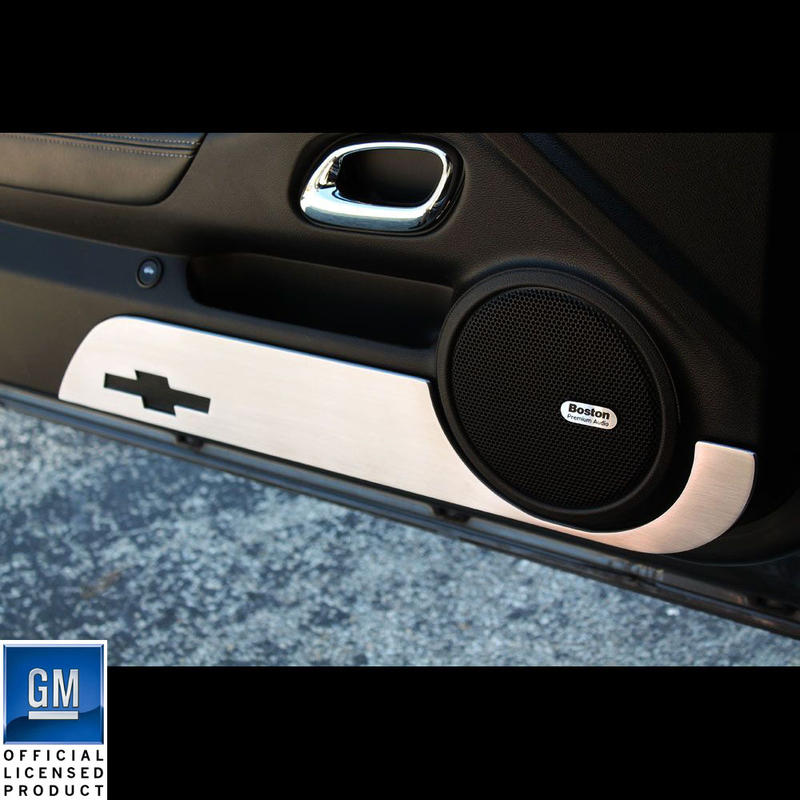 Innovative Bold Styling: Give the interior of your 2010-2014 Chevrolet Camaro the refined look of Billet with UPR's Billet Door Kick Plates. These Billet door kick plates cover the bottom part of your door and have cut outs to go around your door speakers. Quality Construction: CNC Machined from Billet Aluminum with a diamond cut final pass for a precise fit and amazing looks. No one else can Stack up to the bold clean styling of our aftermarket Billet / Stainless Steel Dress Ups, Street / Strip / Racing Suspension and GM Performance Parts for your American Muscle Car! Installs in 10 minutes or less with silicone adhesive (not included). Fits these Vehicles: 2010 2011 2012 2013 2014 GM Chevrolet Chevy Camaro SS 2SS/RS V6 V8 Transformers Special Edition. Made in the USA!